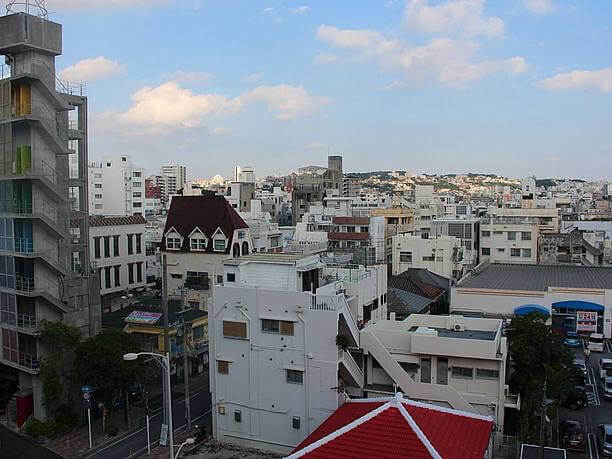 Traveling to Naha city by the YUI rail, you exit at the Asato station (安里駅) and go to the left. 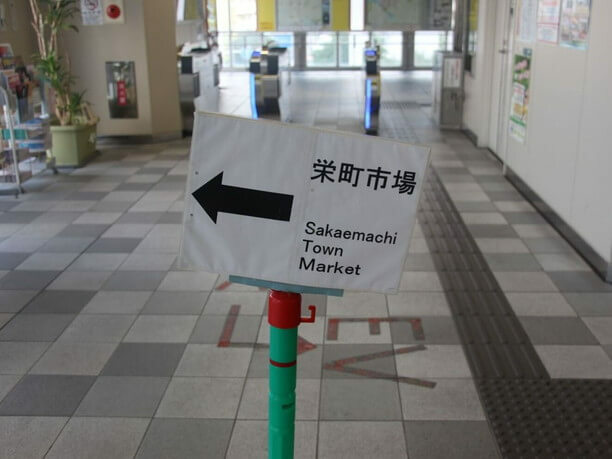 When you get to the Super Sakaecho Riubo, you will see the beginning of the Sakae town market (栄町市場) spread across the region. Busy all day into the early hours of the evening when you will see little dimly lit arcades lined with shops. Most noticeable are the pharmacy, fish, fruit, and vegetable stores, butcher, and Deli shops, clothing stores, and cosmetic stores. 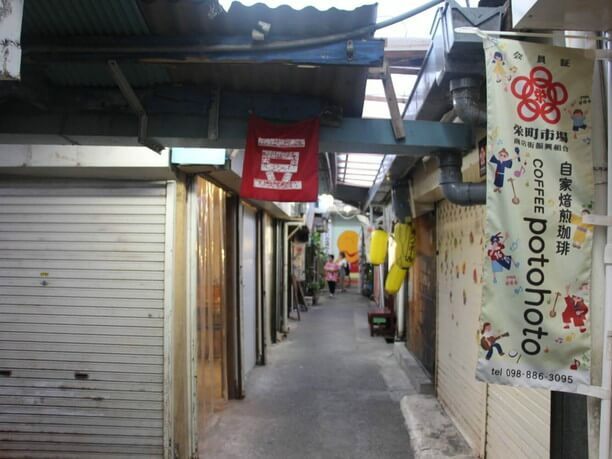 It is small in comparison to the Makishi public market but is still loved by the locals. With the elderly people slowly walking, talking and shopping and the children laughing and playing it has a real nostalgic neighborhood feeling. It’s not like being in a grocery store. In addition to places to buy groceries, there are bookstores, coffee bars, and plenty of pubs characteristic of the Sakae town market. From day into night, people gather in the market creating a unique atmosphere. Sakae town market is a labyrinth with many entrances. 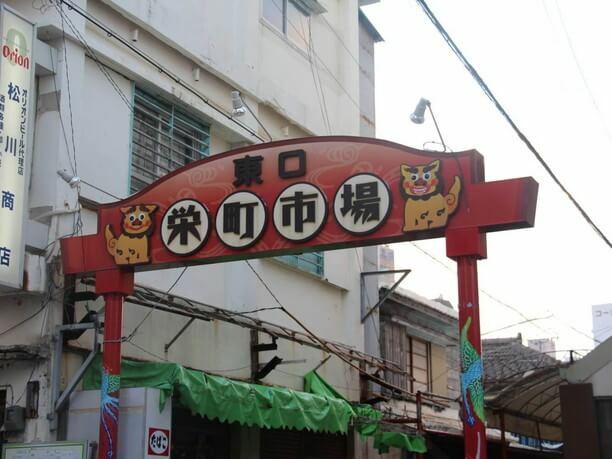 Sakae town market was a valuable place during the reconstruction after World War II. Even though the arcade is one whole parcel of land of approximately 300 square yards, there are many entrances. The newest “East Gate” entrance is marked by this large sign. And there is a gate facing the side street along the monorail station West exit. Though faded through exposure to the sunlight in Okinawa, this sign also marks an entrance. 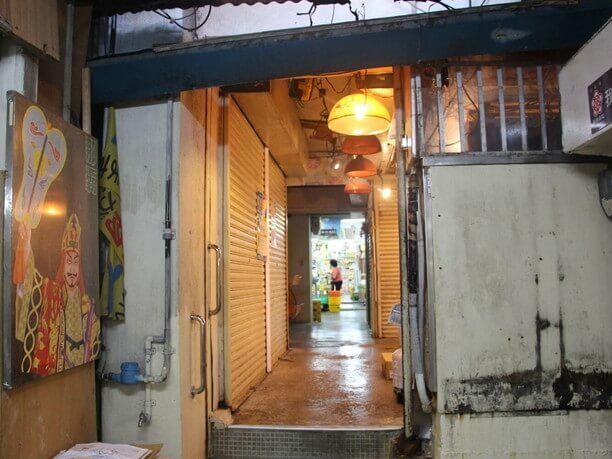 There is also an entrance from this alley into the market. 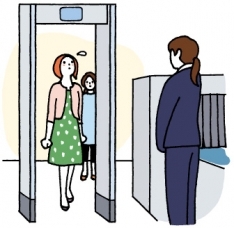 Depending on which entrance you use, you will see the market a little differently. Once inside, it is like a labyrinth. 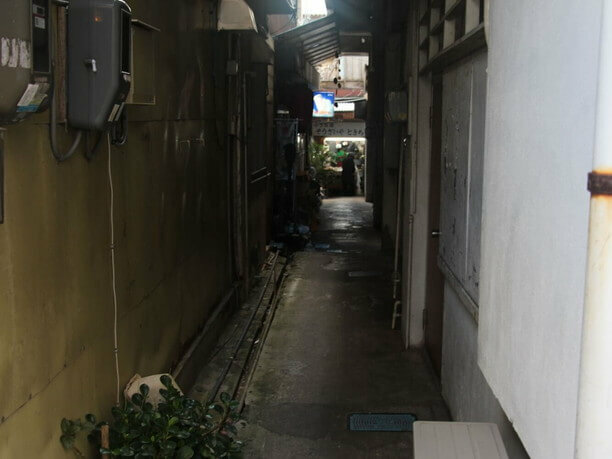 It is a maze of a lot of narrow alleyways and steps, filled with plenty of shops! So even if you are a frequent visitor it is sometimes hard to find where you want to go. Once you understand and accept that you may get lost, it becomes a little more enjoyable just wandering around. Eating out is fun at the Sakae town market! Some of the cafeterias and deli shops that are open during daytime hours also are open in the evening. 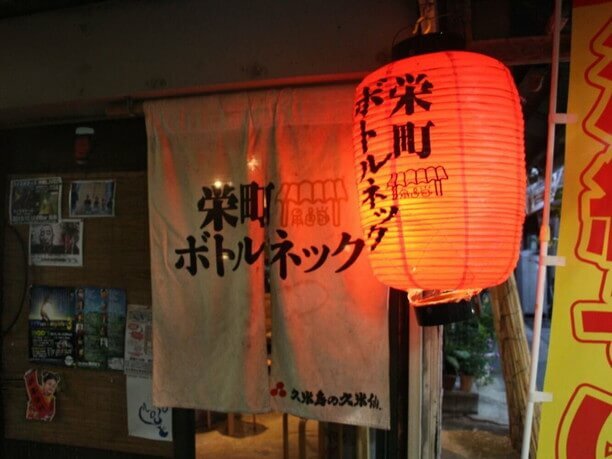 Many of the food places and taverns that are open light up their entrance with lanterns. The shops serve dishes with local ingredients and local prices (so cheap!). 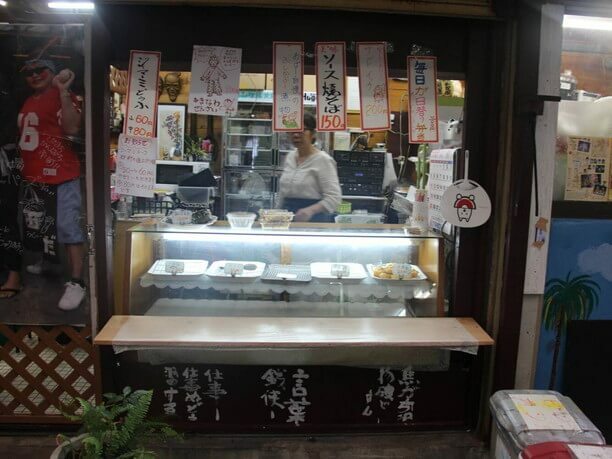 One of the oldest delis, which is loved by locals is “Kanou-ya” (かのう家). It serves Zimami (tofu made from peanuts) and fish, such as squid, made into a tasty Tempura from 50 yen each. 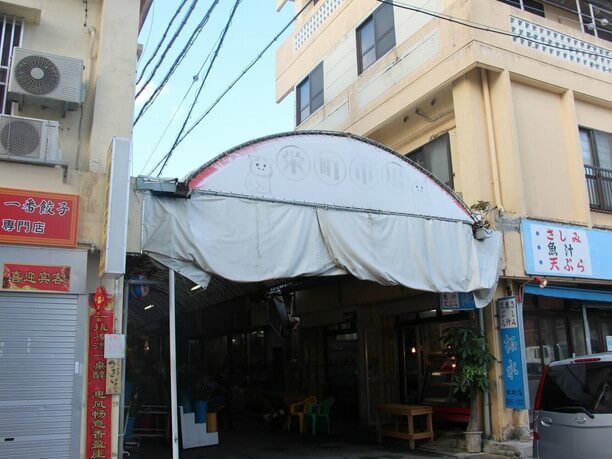 It is a fun spot to eat or for taking out food and bringing it back to the hotel to eat slowly. “Potohoto” House has a roast coffee scent. In addition to all the good eating spots of Sakae town market, there are also good coffee spots. 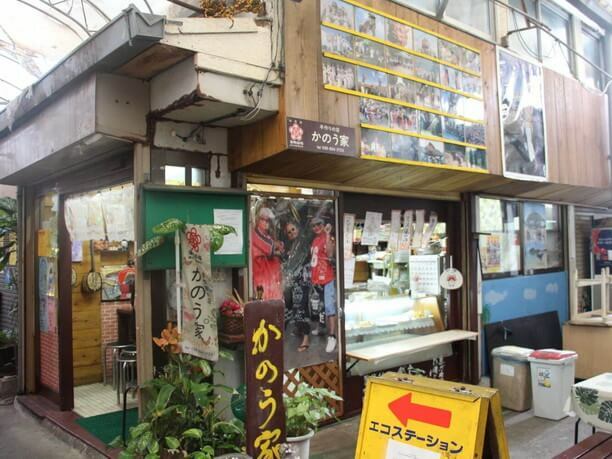 One of the most popular is the “Potohoto” Coffee shop. You are met with the wonderful fragrant smell of the selection of beans and the coffee roasting. 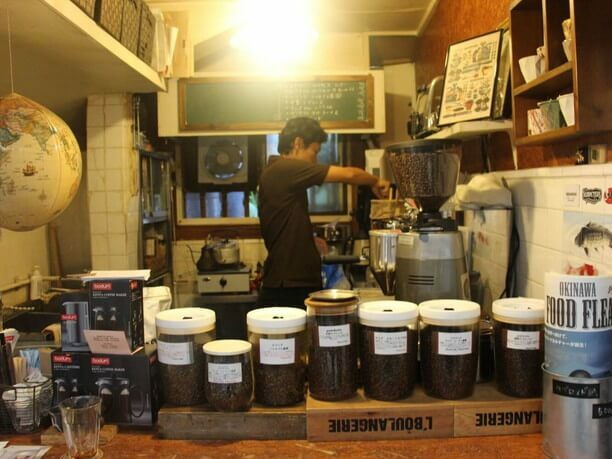 The owner, Satoshi Yamada (山田哲史) roasts the coffee beans in the shop and the aroma spreads throughout the shop and into the market. His coffee is served at fine restaurants throughout the Okinawa Prefecture. But you can have this luxury at lower town market prices. 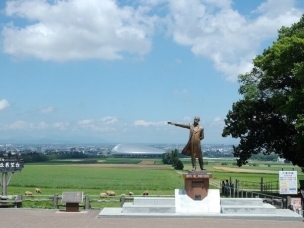 The Potohoto flag with its red bean is a famous landmark. Sakae town market is a great place for drinks in Naha. 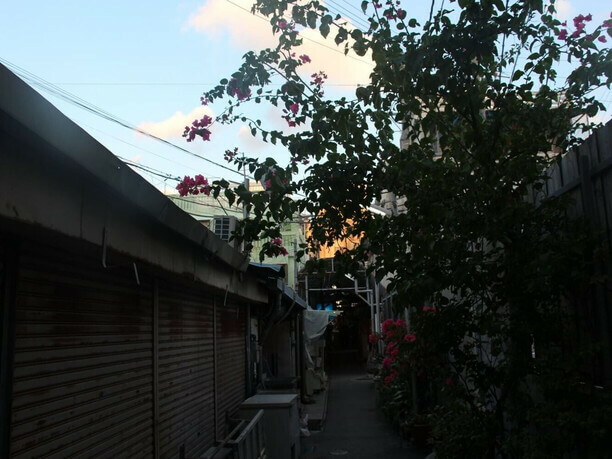 Increasing in popularity in recent years are the “night time taverns” of Sakae town market. 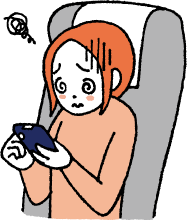 One, in particular, is “Sakae-machi bottlenecks” (栄町ボトルネック). Big red lanterns mark the entrance to this is a long established tavern with its retro vibe Interior. They serve Orion beer in small bottles for 400 Yen. Their Okinawa Soba is also popular. Sakae town market is also famous for its awamori (sake) taverns. 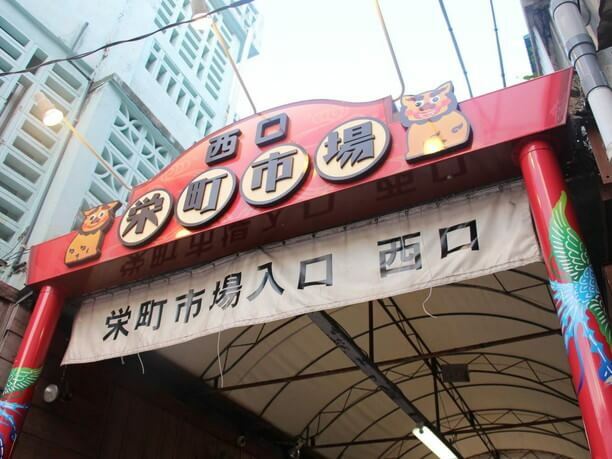 Two taverns, in particular, the “Urizun” and “Payao” were originally just for take out orders but their popularity caused them to expand as regular customers would start to gather around 6 p.m.
3 restaurants that stand out are the Benryia (with its dumplings), Seikatsunogara (known for its musicians), and another well know restaurant, the Oton. And there always seems to be another new tavern or restaurant opening. Which keeps this a very popular and exciting area! 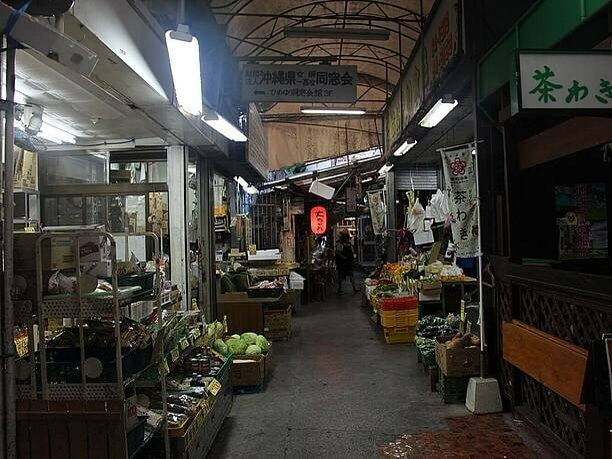 You can feel the real spirit of Okinawa in the market every day and night! As it approaches 6 in the evening, shop owners start to close the shutters of the fruit and vegetable stores. While the butchers, fishmongers and grocers are replaced by the tavern owners lighting their red lanterns. For some tourists who can’t wait for the opening of the bars, they start bringing out chairs in front of the taverns and serve them Orion beer or another popular drink to start the night out. The scene changes as you see junior high school students walking home from school or tourists walking away with a guidebook in one hand and food in the other. Sakae town market appeals to a variety of people, With its various everyday scenes, it is one of Okinawa’s great places. I highly recommend that you visit the labyrinth of Sakae town market! Taste the atmosphere of the market shops on weekdays. Many shops are closed on Sundays and holidays. Evening dining is from 6:00 P.M. and it can get crowded on weekends. Opening hours vary on holidays, so call for information. From June through October on the last Saturday of the month, Sakae town market holds a street festival and it gets very crowded. Miyasatokosho shop is small used bookstore located in Sakae town market. They have many old books and looking trough the bookcases is fun. 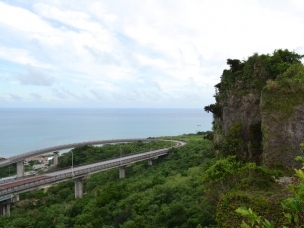 If you plan on exploring Okinawa City, a 1-day YUI rail pass is your best bet for savings!